Sen. Kamala Harris (D-Calif.) on Wednesday became the first senator to announce that she would co-sponsor legislation adopting a national, single-payer health insurance system that Sen. Bernie Sanders(I-Vt.) plans to introduce in the coming weeks. Speaking at a town hall in Oakland, California, Harris called single payer “the right thing to do,” drawing sustained applause from the crowd of hundreds that had gathered to hear her speak. The junior senator’s revelation is a win for left-leaning activists in two key ways. It adds high-profile support to the “Medicare for all” proposal that has become a top priority for restive progressives. 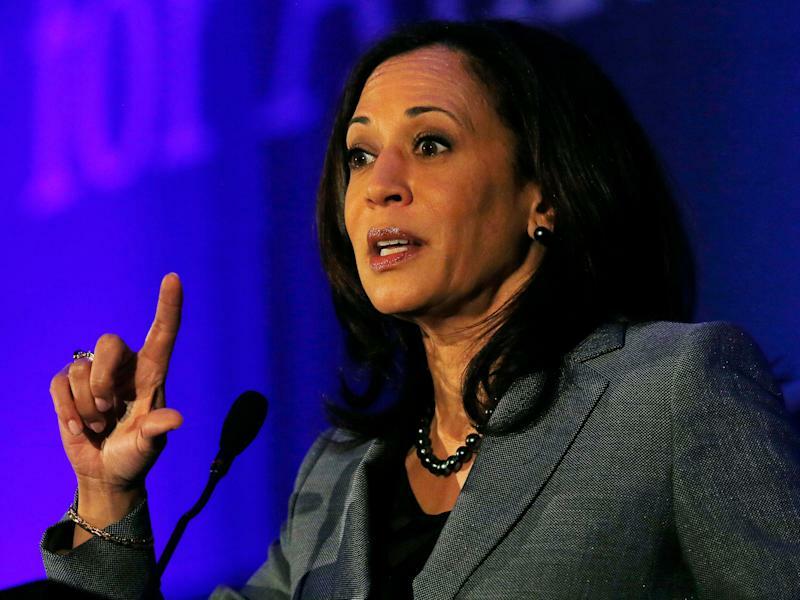 And in allying with the activist base of the Democratic Party, Harris, often shortlisted for the party’s 2020 presidential nomination, is signaling her desire to assuage the concerns of herskeptics on the left. Sen. Kamala Harris (D-Calif.) called single-payer health care the "right thing to do" on Wednesday. Harris had previously suggested she viewed single payer favorably, but did not commit to specific single payer legislation. At aJuly rally, Harris said she was supportive of single payer “as a concept,” but that “we’ve got to work out the details, and the details matter.” She made similar comments on thePod Save America podcastin May. Single-payer health care, in which the federal government insures all Americans through one, Medicare-type program, garnered major national attention thanks to Sanders’ 2016 presidential bid, where it was one of his chief policy promises. At the time, the proposal drew mockery from more mainstream figures in the Democratic Party. But with the election of PresidentDonald Trumpand the collapse of Republican efforts to repeal the Affordable Care Act, or Obamacare, which combines private and public health insurance, the push for single payer has gained steam. The framework has picked up the verbal support of Democratic Sens.Elizabeth Warren (Mass. ),Kirsten Gillibrand (N.Y.) andJeff Merkley (Ore.) (None of them has yet to officially co-sponsor Sanders’ bill). In the House, a bill introduced by Rep.John Conyers(D-Mich.) enjoys the backing of a majority of the Democratic caucus ― the most support it has ever received. Progressive advocates of single payer have long argued that a for-profit health insurance system is doomed to failure, because of how difficult it is to earn a profit without depriving the costliest patients essential care or providing it only at exorbitant prices. They have seized on the struggles of the Obamacare exchanges, which offer private options, and the relative success and political resilience of its more progressive Medicaid expansion as evidence backing their views. For Harris, the announcement shored up her progressive credentials weeks after coming under increasing scrutiny from activists. Some supporters of Sen. Sanders in particularexpressed concern in Julythat party leaders and donors had begungrooming Harris for the national stageto circumvent more independent figures that the grassroots might be more inclined to rally behind. Critics pointed to Harris’ decision, during her tenure as California’s attorney general,not to prosecute Steve Mnuchin’s bankfor illegal foreclosures against the advice of her department’s Consumer Law Section. And at the same July rally where Harris said she backed single payer as a “concept,” the senator declined to weigh in on a fight in the California legislature over a state-level single-payer bill. Single-payer legislation backed by the influential National Nurses United labor union passed theCalifornia state senatein June. But later that month, California state Assembly Speaker Anthony Rendon (D) refused to bring the bill to a vote in the lower house,sparking the ireof activists. Winnie Wong, a co-founder of the People for Bernie, who has cast aspersions on Harris in the past, applauded Harris’ support for Sanders’ legislation ― and expressed hope that it would advance the state-level bill in California as well. Virtually all other developed nations enjoy some form of universal coverage, and a single, government insurance program is among the most common ways they achieve it. Still, implementing such a system is likely to be politically difficult in the United States since it would, among other disruptions, eventually force the49 percent of Americanswho receive insurance through their job to abandon it and join an expanded government plan. It would also require major upfront tax increases to fund this expansion in exchange for the promise of a reduction in overall costs. In the near term, Sanders’ legislation could expand the bounds of the health care debate, making other progressive proposals seem less radical by comparison. Earlier this month, Sen. Debbie Stabenow (D-Mich.), who is up for re-election in 2018,introduced a billthat would enable people aged 55 or older to buy into Medicare. Last week, Sen. Brian Schatz (D-Hawaii) announced plans to introduce legislation allowing all Americans tobuy into Medicaid. Republicans are already trying to use the single-payer push to brand Democrats as proponents of a government health care takeover paid for by a massive tax hike. 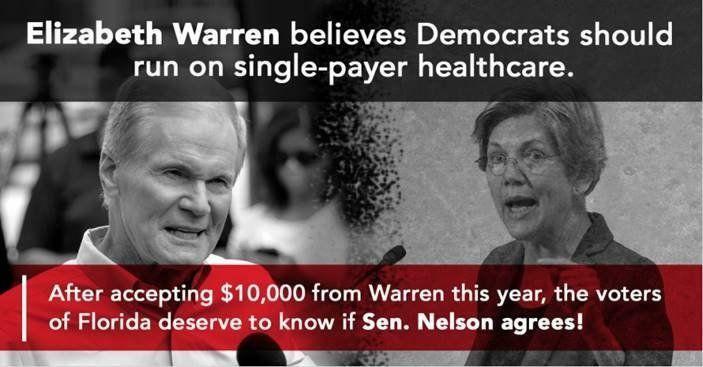 The Republican National Committee plans to tie Sen. Bill Nelson (D-Fla.), and nine other vulnerable senators up for re-election in 2018, to single-payer legislation with digital ads that highlight the funding he has accepted from Sen. Warren. The Republican National Committee intends to make Sen. Bill Nelson (D-Fla.) pay a price for his colleagues' support of single payer. Polling suggests there is broad popular support for expanding Medicare, though it appears to depend on how the policy is framed. Sixty percent of American voters support “an expansion of Medicare that would make it available to any American who wants it,” according to aQuinnipiac University pollpublished on June 28. Sanders insists that he is not interested in making support for single payer a “litmus test” for Democrats.